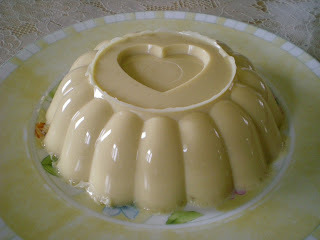 This recipe is my invention and hubby invents the name. I made this last night and we eat tonight as our dessert. And it taste really good so I decided to post it here and share with you. I hope you will like this. Mix all ingredients in a pan and bring to boil until gelatine is completely dissolved. 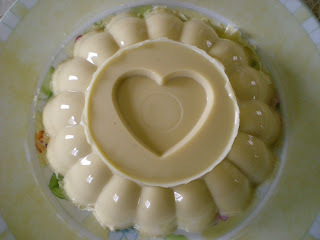 Pour in the moulding pan and chill for a couple of hours or until gelatine is firm. Wow! so sweet of your hubby naming this one. 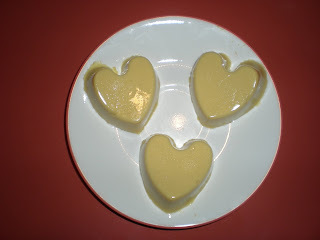 its really cute name for a dessert .and oh my I'll try to do this one on valentines day. looks so yummy to my tummy hehehe. thanks for this recipe Dae Carolyn, take care and enjoy the Fridays! WOW GAGS... KARON PA JUD KO KBASA IMONG BLOGS... T'WAS SO GREAT!